The green peach aphid tends to overwinter in stone fruit trees. 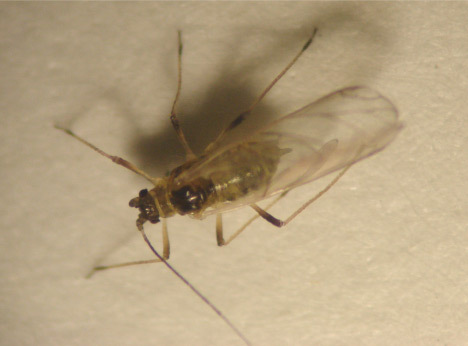 By late May to early June, individual aphids in a colony develop wings and fly to vegetable crops and a wide range of weeds. As the aphids disperse (June to August), they can transmit important viruses including potato leaf roll virus and potato virus Y.